From 9th August to 16th August. The Geesala Festival takes place in Geesala, a village very well known for its landscape, sandy beaches and breathtaking coastline. This year the festival includes heritage events, cultural events, Là Gaeilge (Irish Day), a vintage show, horse show-jumping & classes, a dog show, a sheep show, boat racing, a deep sea angling competition, a clay pigeon shoot and a popular 10k road race. 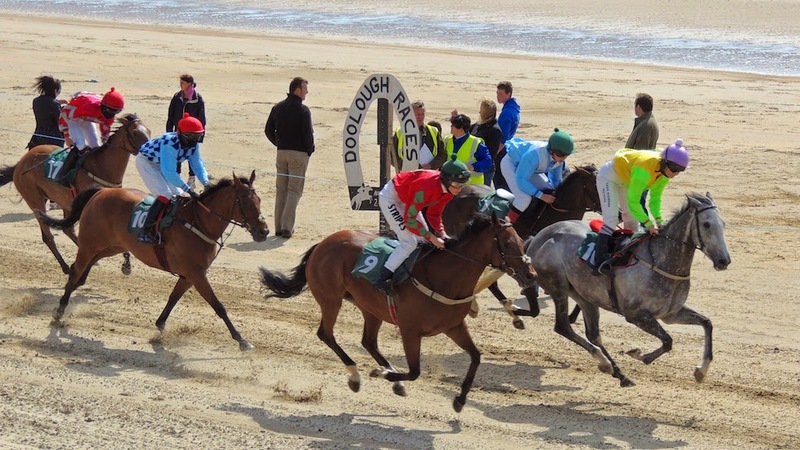 The main event of the festival is horse racing on the beach at Doolough, a village three miles by road from Geesala. Here is a stretch of beach three miles long and is deemed to be the 'best turf' in the country by the Horse racing Association of Ireland. Visitors will find a bar, live music and delicious local food.